Working with MeLisa and nisha was a pleasure. They are clear communicators who knew what they wanted. 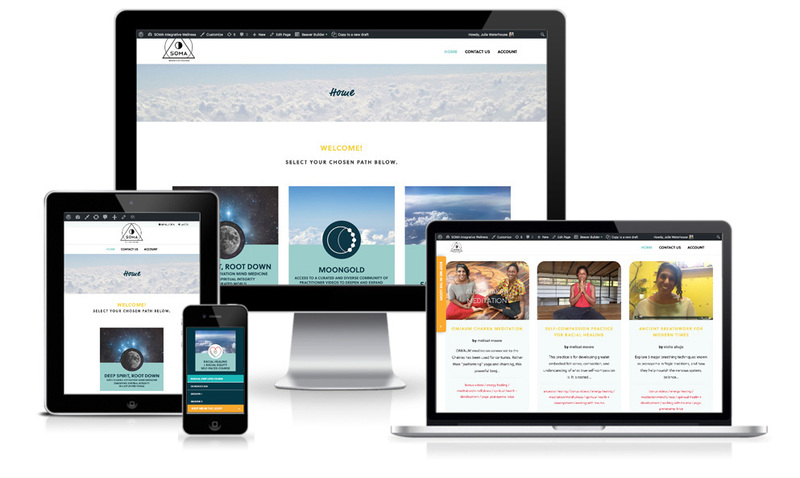 Although they are not super-technical, they communicated their business needs clearly, and I was able to help them translate this into a functional membership site to house their online programs, videos, and courses. This project was done in collaboration with my designer partner, Emilia. Emilia designed and built SOMA's main marketing site, and then designed brand-consistent assets to continue the look and feel on the membership site. Emilia and I have partnered on a number AccessAlly memberships sites now, and work well as a design and implementation team. 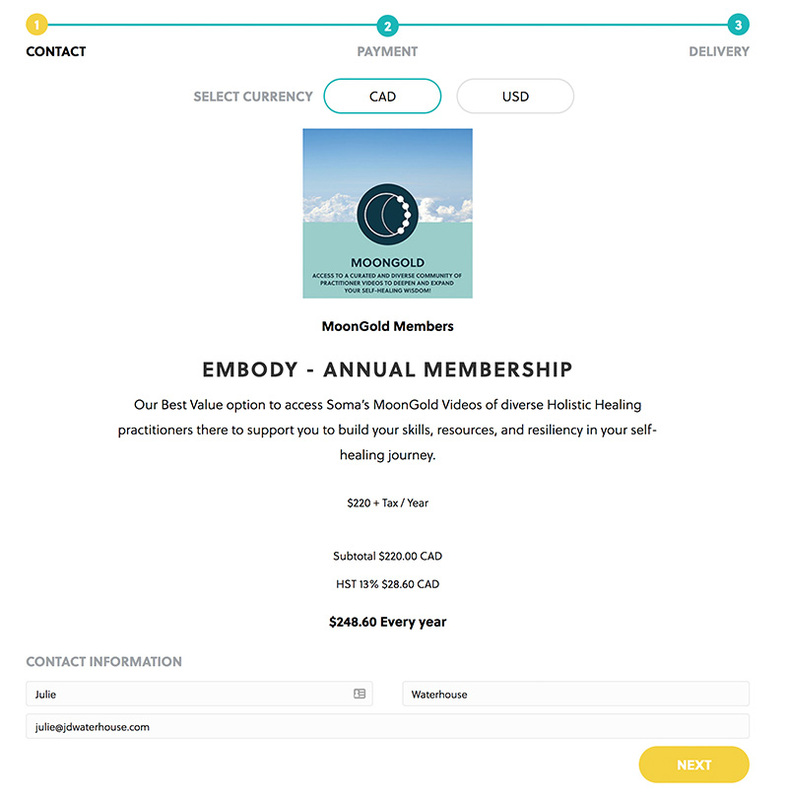 I love that when I work with Emilia, each membership site we build has a very unique look that matches the client's vision. 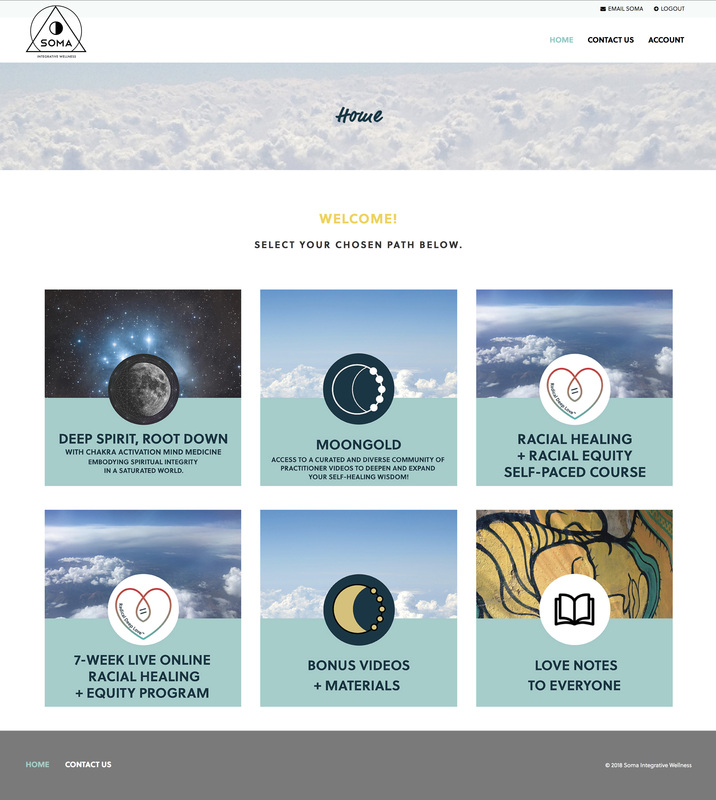 For this project, we built one online course, two online webinar programs, and an online video resource library with both free and paid options. SOMA used Drip as their CRM, so we built their course workflow and client management (e.g., handling failed payments) automation in Drip, and integrated it with order forms created in AccessAlly. "We had hesitation on relationship building and if we would be able to build trust with the person we were entrusting our work and process with. We had several very bad experiences in past. Our hesitation was resolved. Julie was open, mature, knowledgeable, and focused on the actual work. In her relating and conversing with us, she didn't hold energies of superiority or condescension, but met and respected us as a colleague who was present to do a service for and with us. She humbly listened, admitted her mistakes or lack of knowledge in certain areas, did important research to be fully equipped to get the work done in the way that we needed. She also put forth great efforts to pay attention to the details of our requests and needs, even with her wealth of experience and knowledge. Direct and clear communication and respectful exchange. We have been able to build a foundational key aspect of your business model and process for doing our business. Since our process was healing and productive, we were able to focus our efforts and energies on learning and doing things that will move our business forward in ways that we envision. Julie also offered bits of experienced advice that would help support our model and practice."